I heard yesterday that a very fine priest, Janet Henderson, has resigned as Dean of Llandaff. She is reported to have found that the discrimination she experienced there made her job untenable. She was an excellent archdeacon, thoughtful, dedicated and reflective, and Janet undoubtedly faced misogyny in that role. I can’t imagine what she has been through that has brought her to resign. 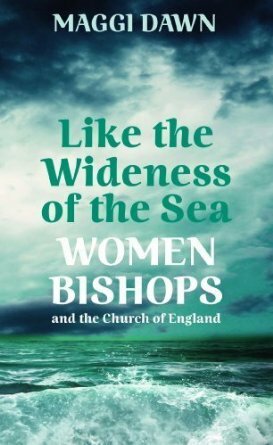 I have been re-reading Maggi Dawn’s thoughtful and tear-inducing ‘Like the Wideness of the Sea: Women Bishops and the Church of England’. If you haven’t read it, you should. 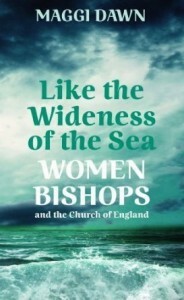 It tells the story of what prolonged anger and rejection has done to women in leadership in the Church of England over the last 20 years. My own experience in the last 20 months includes lay and ordained men making it clear to me that they not only cannot recognise my ordination, but blame me both personally and as the representative of all women clergy for the numerical and financial decline in the Anglican church in the north east. Today I am sad – for the women who serve the church as priests and deacons, whose ministry is still in a period of so-called reception; for those ordained and lay men and women who have left the church; for those women I know who carry the weight of unresolvable anger; and for the Church of England, whose mission is damaged by our internal strife. It’s another a sad day. It’s odd; in a family, it’s the mother who traditionally would have brought up and taught the children whilst the man was at work. This tells that in many respects, a woman can be a better teacher and role model than a man but irrespective of history, women have proven themselves as capable (if not more so) than men in a role traditionally held by men. 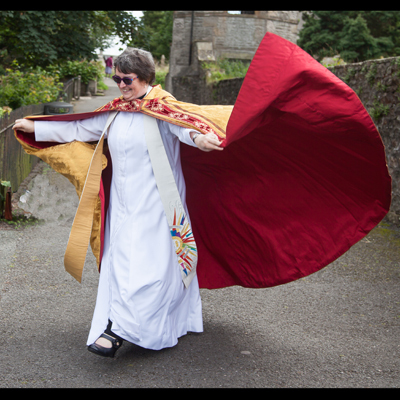 I confess, I am quite new to faith and don’t have a great deal of experience of different churches – but I never considered that the respect the congregation of Pennington hold for our female priests could be anything but the norm for the Church as a whole? Discriminating against another based on colour would be abhorrent today: so why should women be any different? It’s not especially …Christian… is it? All I can say is that “the boys” in England, the ordained boys, should be absolutely and thoroughly ashamed of themselves. A woman heads the Church of England, would they dare be rude to the Queen? Aside from that, simple courtesy should dictate to them certain manners and decorum. One would think none of these idiots even had a mother. I suspect that momma would have slapped them a good one if they had behaved accordingly to her. And, there should be even greater shame laid on the bishops who should have been “in charge” of the situation. Your role is to shepherd all your flock and protect it from wolves like these boys who have apparently never grown into adulthood. P.S. – This is no different than I would say to clergy in The Episcopal Church for similar behavior. We still have a few boys who need to grow up too! Perhaps these men need to be reminded that at conception they were female, made in God’s image, before they were male. Your words echo what I posted in Facebook’s Episcopal Women’s Caucus. Abuse, harassment, bullying is not happening just in the CoE. I am a priest in the Anglican Church of Canada and was ordained over 28 years ago and can relate to Dean Henderson. “Tonight I am sad at the news about Dean Janet Henderson’s resignation. She is not the first, only, or sadly will she be the last woman who, to quote the article, “has had a difficult time since her appointment.” She was the first woman in that position in that place and being a pioneer can definitely be an additional problem to have to deal with. I pray that she didn’t encounter physical abuse or emotional abuse but I wouldn’t be surprised if she did. And yes, I can relate and I know there are others here who can relate as well. For over twenty-eight years, I’ve been the first ordained woman in a leadership position in each parish/ministry I’ve served and without exception, there was abuse in each situation: physical and/or emotional … from being physically pummeled in my chest by a woman (in the sanctuary!) who shouted “I hate you!” (and more) – to a man who poked his walking stick in my stomach and said “Get thee behind me, Satan” – to parishioners (in two separate parishes) declare “I will do everything I can to get rid of you” – to a colleague who, (not knowing I was the preacher at the Induction) said in a loud voice as the Processional began “Get into your place, woman!” and then in the church when another colleague realized a woman was the preacher said to his colleague beside him in the row in front of me “How do I get out of here? I will not take Communion from that woman!” And … well, I could write a book and I suspect there are quite a number on this list who could write some dynamite chapters too. A member of the Episcopal Women’s Caucus wrote: “Unfortunately, bullying takes a toll on women clergy” and that’s what it is, isn’t it? Bullying. I ache for Dean Henderson who is likely feeling abandoned (at the very least) by the people who appointed/first welcomed her. I pray that with time, she will come to a place of forgiveness and peace, but in the meantime, please join me in praying for her and for ordained women everywhere who naively believe that the “women’s ordination issue” is a thing-of-the-past. It is not. And Janet’s experience is a very sad reminder. Truly, I had hoped that after almost thirty years of having to deal with this stuff, it would no longer be happening. But it is – sometimes subtle, sometimes overt; sometimes by colleagues, sometimes by parishioners; sometimes by people who acknowledge they are against the ordination of women, sometimes by people who say they are supportive of the ordination of women. It’s sexism and it’s in the Church. And it saddens me. I’m so sorry to hear you’ve personally facedd such inhospitality (words fail me for a better description). I was struck also by the injustice of ascribing to women ordained the/a cause for the decline seen. I think that the growth of independent charismatic churches in the NE tells a story which your interlocutors might do well to consider about the way that ‘they’ have been doing church … It’s a case of scapegoating and grossly counterfactual at that. It is not reported like this in the newspaper I read today. It is reported that the Dean was ‘at loggerheads’ with the choir over payments for a Songs of Praise appearance. They, the choir, were outraged after being booked on the programme for a quarter of the industry rate. A letter from the Archbishop of Wales did not explain why the Deans stint had come to an end. I am in favour of women leaders in the church, ministers, Deans or Bishops. I am also in favour of fair reporting, which this post does not seem to be. If you think a former Archdeacon would resign simply over payment to a choir then you underestimate Dean Henderson’s previous experience. And the point in this post about the misogynistic attitude experienced by so many women clergy is relevant whatever the reasons for Janet Henderson’s resignation. The point of this story is indeed the attitude of the “men” in this congregation. I suspect the choir director is a male and that most of the choir might be, if not all. While many may not think so, the choir is there for the worship of God and facilitate the congregation…..not concerts, especially on Sunday mornings. As much as a good choir can add to worship, worship should be a balance among the proclamation of the word/preaching, music and the celebration of the Eucharist. I suspect that is not the attitude of the choir director, which would of course feed into the misogynistic atmosphere. Time to grow up, guys. Would you treat the Mother of Jesus the way you seem to treat ordained women (and probably laywomen as well)? We know that many of the people whom a Church of England priest will meet each day are not regular churchgoers, but ordinary members of the public who look to the Church to be there at important times in their lives, to baptise babies, to marry people, and to comfort the bereaved. Ordinary people want to see the Church of England in action through the women and men who serve their local communities. They certainly do not understand why it has taken such a backward decision, given that women constitute a third of the clergy and half the membership of the Church. Those women have kept the Church going in communities all over the country, and their voluntary work was the “big society” decades before the term was invented. Women ARE important, NamromMit – the church cannot function without them. I don’t mean just for arranging the flowers and making the coffee (as some of the WATCH women would have you think is what we are saying). Generally speaking women’s pastoral skills are better than men’s, and the role of deaconess seems eminently suitable.I do believe Jesus chose 12 men for a very good reason. We only see the situation from our own perspective, in our own time and in our own culture, where their successors, the bishops, live a relatively cushy and comfortable life, but the 12 all died horrible deaths, and in some parts of the world today, bishops live with constant threat of being killed. Is it not likely that this is not the role God wants for women? Who would look after the children? Just seen this! My decision to resign had nothing at all to do with my gender or choir fees. The south Wales press printed speculation which was picked up by several nationals who repeated comments to this effect by ‘anonymous’ sources. I suppose what this does prove is that whatever women do someone will put it down to their gender!